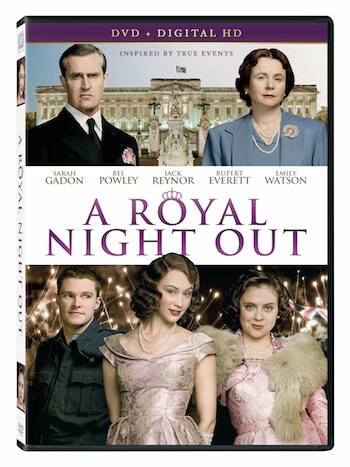 In celebration of Queen Elizabeth's 90th birthday, April 21st, we have these fun clips to share with you from A Royal Night Out available now on Digital HD and coming to DVD 5/3! This charming reverse Cinderella story is inspired by true events that recounts the celebration of the end of WWII during 1945 in Europe where Princess Elizabeth and Princess Margaret leave the confines of Buckingham Palace to venture out into London for a whirlwind of adventure. The film stars Emily Watson (Corpse Bride), Rupert Everett (Shrek The Third, Shrek 2), Sarah Gadon (The Amazing Spider-Man 2) and Bel Powley - Winner of Hamptons International Film Festival "Breakthrough Performer" for her role in this film.